Commons is just a 5-minute walk from the historic Boalsburg, and 10-15 minute drive to The Pennsylvania State University and downtown State College. Springfield Commons was designed to be a Traditional Neighborhood to complement the historic character of Boalsburg. 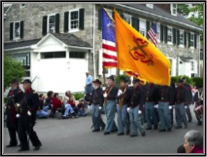 Recognized as the birth place of Memorial Day, the village of Boalsburg dates back to before the revolutionary war. 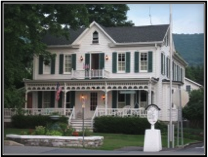 The main area of the village, known as the “Diamond in Boalsburg,” is surrounded by small shops and the historic restaurant “Duffy’s Tavern,” and was once a stage coach stop. Springfield Commons has a mix of housing designs including single-family detached Village homes and Carriage Homes (duplexes) to catch the eye of families, empty nesters, and retirees. To maintain the character and integrity of the community, NO two homes will look the same from the street! The homes will all have front porches, will sit close to the street, and will be clustered together to encourage interaction between neighbors as they walk by on the community sidewalks. A Community Center serves as a gathering place where residents meet and have social functions. Residents have the right to reserve the Community Center for weddings receptions, birthday parties, family reunions, etc. 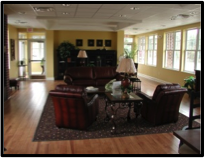 Within the Community Center, there are meeting rooms, fitness center, and a complete kitchen available for residents use. The Homeowner’s Association provides lawn care, snow removal from all private driveways and sidewalks, and maintenance to all common areas and the community center. 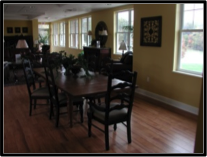 In addition, the monthly homeowner fee includes; internet, sewer service and maintenance of the community center. 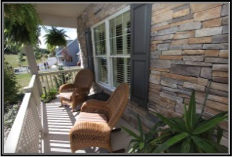 All homes will have high quality construction and Energy Star Certification is available. CATA bus services are available from the Torrey Lane, next to the development. County van service is available for seniors. 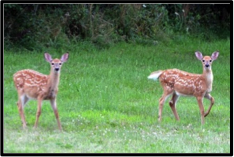 While sitting on your porch, or taking a stroll through the neighborhood, enjoy the visions of wildlife that strolls through the open space in Springfield Commons. During winter months, feed the birds from you back deck while anxiously anticipating the arrival of spring! Choose your own floor plans and builder. For the family with young children, there is a tot lot in the community to take your children to play. With only a limited number of units being built in the development, residents have the opportunity to get to know their neighbors and to become a close knit community that watches out for each other. When raising your family or having your elderly parents retire to a community where everyone knows everyone else, this gives you an added peace of mind, knowing that there is always someone looking over them, an added sense of security when you cannot always be there. The location of Springfield Commons offers a wide array of entertainment possibilities! 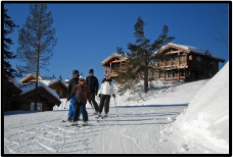 Tussey Mountain, offers a variety of activities in both summer and winter months. During the summer you won’t want to miss the Tussey Mountain “Wingfest” or the State College Brew Expo located at the top of Tussey Mountain with food, live music and over 50 brewers; during winter months get out there and enjoy skiing, sledding and don’t forget tubing down the mountain. All of which is sure to put a smile on the faces of both young and old! 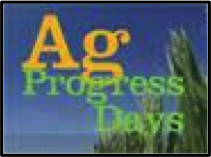 Ag Progress Days is Pennsylvania’s biggest agricultural expo, and it is right here in our backyard. Featuring the latest in agricultural, technology and research, great foods, and lots of mighty machines, there is certain to be something for all age groups. 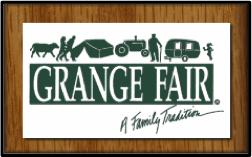 The World famous Grange Fair has been a family tradition in Happy Valley for over 100 years. Good food, competitions, games and entertainment, something for everyone! 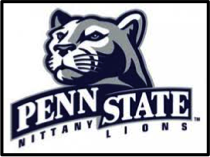 Are you a Penn State football fan? 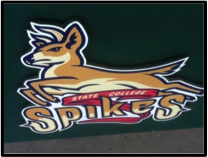 How about a Spikes fan? Living in Springfield Commons, you will be only 15 minutes from the stadium. Swimming, State Parks, Golf Courses and so much more, some of which is within walking distance of Springfield Commons! How could you not be happy living in Springfield Commons?? For more information on what Springfield Common has to offer, visit www.springfieldcommons.net. Stay tuned for some interviews with the residents of Springfield Commons, telling us why they chose to build there! The primary purpose of creating a budget is for understanding and controlling the cost of building your dream home. Knowing your spending limits will go a long way toward keeping you out of financial trouble on your project, especially during the preparation of your plans and specifications. Your first budget estimate will give you an indication of whether or not your plans are feasible or if you will need to make some design changes. Your final "working" budget will be developed when you complete the cost estimating process. 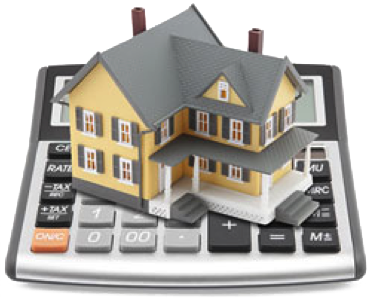 The process of constructing your budget begins with determining how much you can afford to spend on your home. Deciding how much home you can afford isn’t all that difficult; lenders use qualifying formulas to determine how much you can afford to pay each month. 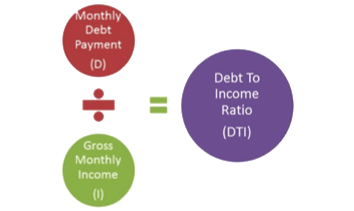 The formulas will vary from bank to bank but generally they compare your income to your debt payments. Once you have determined how much home you can afford to build, there are two things that must be taken into consideration when developing a building budget -- hard costs and soft costs. Hard costs include labor and material needed to build your home. Soft costs consist of everything else. The budget estimate for hard and soft costs below can be considered to be a study of the cost so the potential homebuilder can determine if the style of home you have chosen is feasible. For the purpose of determining the feasibility of our project, we are going to do our calculations based of a hard cost estimate of $200,000.00. The soft costs are even more difficult to estimate because they are in proportion to the hard costs. A review of the following items will provide a general guide for what you must take into consideration for soft costs. Assign a cost to these items based on their percentage of the total hard cost estimate. With a projected hard cost estimate of $200,000.00, your soft costs would increase the project budget by an additional 50% (or $100,000.00). The total cost of your construction project including hard costs and soft costs would be $300,000.00. Also included in the cost of your home is the builder’s overhead and profit. The following chart will give you an idea of the breakdown of these costs. . 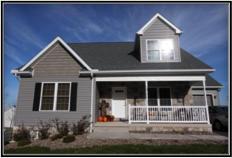 The breakdown is based on a 10% fee of the $200,000.00 total hard cost estimate. For example, let's again assume your estimate of total hard costs will be $200,000.00. With Builder's Overhead and Profit at 10% the amount would be $20,000.00. The next chart breaks down the Designer’s Fee. This breakdown is based on 10% of the $200,000.00 hard cost estimate. With Designer’s fees at 10%, that amount would be $20,000.00. Based on our budget estimator, to build a $200,000.00 home, you will be looking at a final cost of approximately $340,000.00. Keep in mind that this Budget is just an approximation. It's a way for you to better understand how money may be proportioned into different categories. Most contractors have their own standards for distributing the cost of all the different categories. Identify priorities: If you know there is something you absolutely cannot live without, then put that item on your list of priorities. Recognize trade-offs: If an item on your “must have” list is more expensive than you determined it to be, what you would trade off in order to keep this item. For example, if you really must have imported marble tile in your kitchen, you might sacrifice a second fireplace in the downstairs. 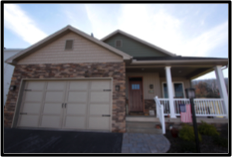 Do a cost/benefit analysis: What are the features you want to add to your family’s life or the appearance of your home? Determine if they are worth the cost. Revise cost estimates: Take your changes into consideration to determine if your vision for your new home is feasible. Remember, a budget for a new home is a planning guide! Actual figures will come when the design is finished and a cost estimate is done from the actual labor and materials "takeoff." Stay tuned for our next blog featuring: “Why we would chose to build in Springfield Commons”!